Ever wonder what kids ever did before Lego and Playstation? 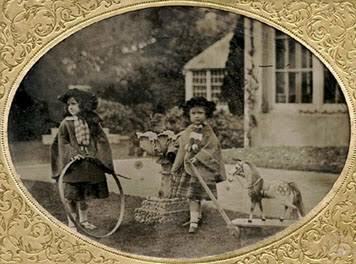 Come and find out as Mrs O'Brien and some helpers show you how to play games like victorian kids did in 1850. Come and try your hand at quoits, croquet, housey housey, knuckles, dominoes and all manner of fun things for kids. You can meet Mrs O’Brien who built Barwon Grange in 1856, with her husband Jonathon, take a tour of the house and learn what life was like for children in Victorian times.